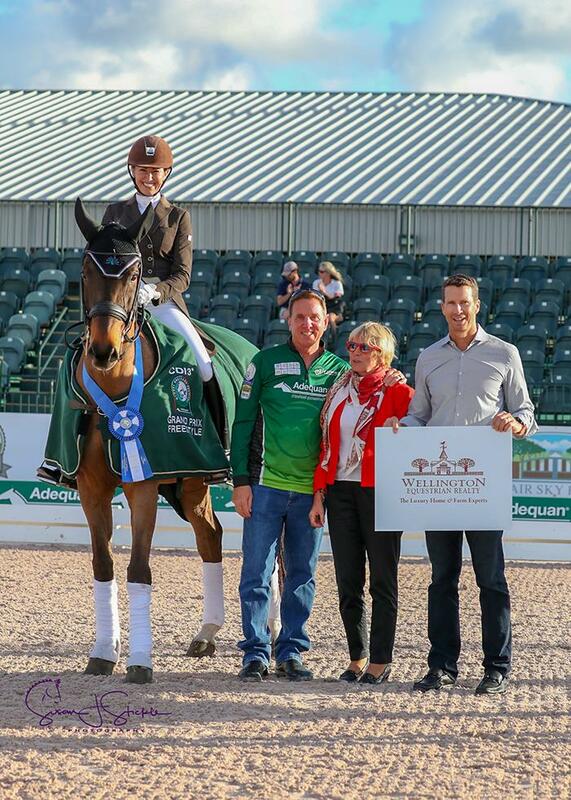 Wellington, FL – February 9, 2019 – Week 5 of the Adequan® Global Dressage Festival (AGDF) continued on Saturday, February 9, with three-star dressage competition at the Equestrian Village at Palm Beach International Equestrian Center in Wellington, FL. P.J. Rizvi (USA) and Breaking Dawn concluded the day with a win in the FEI Grand Prix Freestyle CDI3*, presented by Wellington Equestrian Realty. Rizvi, of Wellington, FL, and Breaking Dawn earned a score of 74.030% with their freestyle test. “I’ve had him since he was nine, turning 10. I purchased him as an amateur Prix St. Georges horse,” said Rizvi of her 18-year-old KWPN gelding by Akribori. “He’s been my horse of a lifetime; I got to learn everything on him. I got really lucky. Michael Erdmann put together the music for Rizvi’s freestyle, and trainer Ashley Holzer and Rizvi put the choreography together. “I wanted to do more of American Pie because I figure, everyone goes out and rides for different reasons and I always do my best, but I do it really for the fun and for the joy of it,” added Rizvi about her music choice. 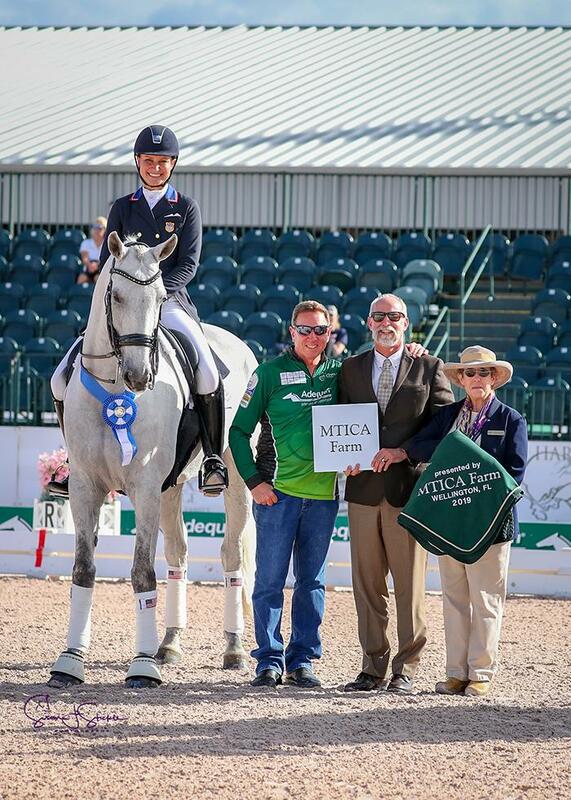 Adrienne Lyle (USA) returned after her two wins yesterday to capture another one in the FEI Grand Prix Special CDI3*, presented by MTICA Farm. 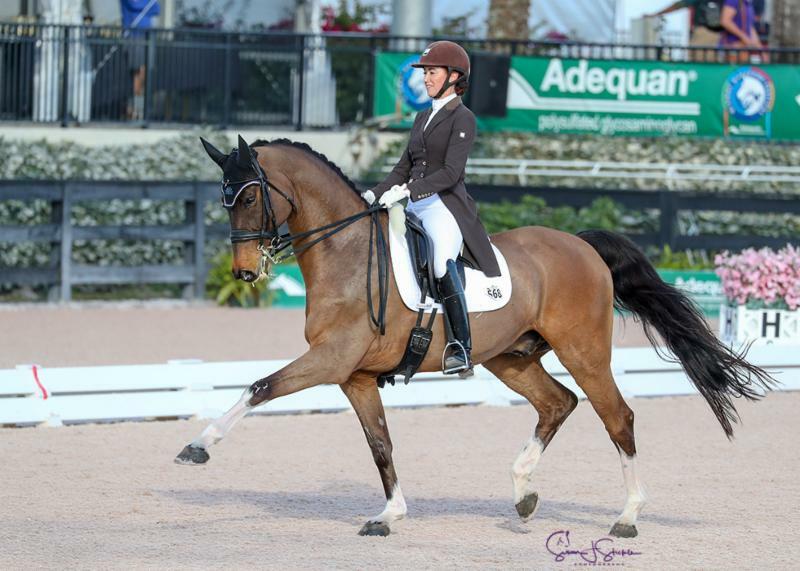 Lyle rode Harmony’s Duval, an 11-year-old Danish Warmblood gelding by Rosseau owned by Duval Partners LLC, and the pair earned a score of 72.851%. 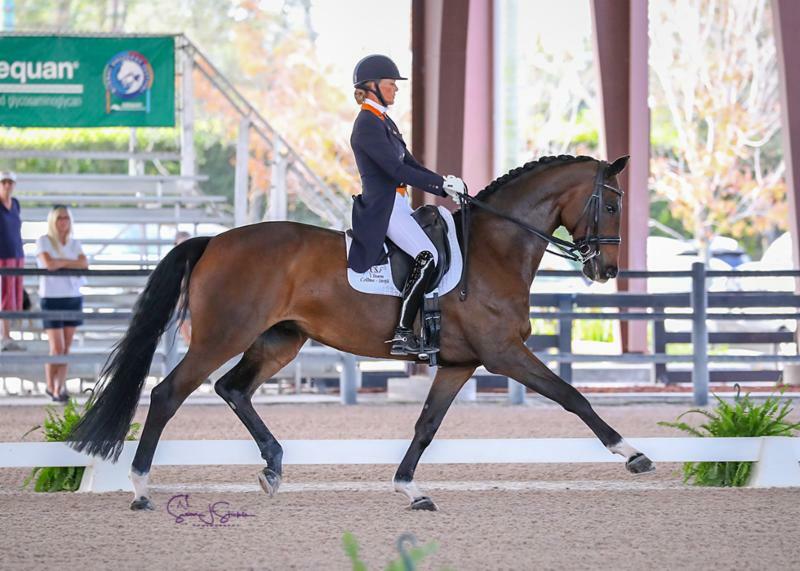 Susan Pape (GBR) and Harmony’s Don Noblesse, a 12-year-old Hanoverian stallion by Dancier owned by Harmony Sporthorses, came in second place with a score of 72.213%. Third place went to Jill Irving (CAN) and Arthur, her 14-year-old KWPN gelding by Jazz. The pair earned a score of 70.064%. 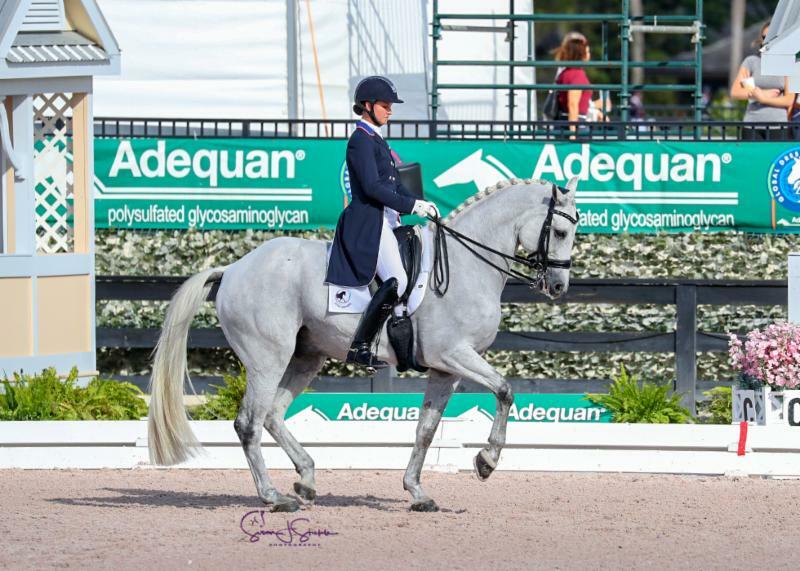 Earlier in the day Leida Collins-Strijk (NED) and Romy, a 13-year-old Hanoverian gelding by Royal Blend owned by Arlene Page, earned a score of 72.016% to win the FEI Intermediate I CDI1*, presented by Iron Spring Farm. Week 5 competition at AGDF will conclude on Sunday, February 10, and features the FEI Grand Prix Freestyle 16-25 and the FEI Intermediate I Freestyle CDI 3*, presented by Fair Sky Farm. Competition will resume for Week 7 from February 20-24. For more information and to see a full list of results, please visit www.globaldressagefestival.com. Photo credit: ©SusanStickle.com. These images may only be used in relation to this press release and with credit. This entry was posted in News and Announcements, South Florida News on February 10, 2019 by ludlumfarms.